Coves & Caves hail from Manchester and the Peak District and after four years of expanding then shrinking and experimenting, they've finally settled as a three-piece and completed their debut album Spinnerets. The album is a proud mix of synths and guitars and out of them they've managed to create something with a warm comfort blanket of familiarity, but at the same time managing to avoid sounding like someone else. There's slightly off-kilter electronica of opener No Day To Save combined with the beautiful Heart Explodes which combines a beautiful pop verse and chorus with a slightly sinister and oblique middle eight. It's that theme that runs through the rest of the album, their sense of melody and knack of creating a tune that sticks in your head is self-evident, yet they're not willing to simply let a song rest on its laurels and there's a wide variety of sound from song to song. There's a huge mix of instrumentation on the record too, Bound To Fail dabbles with all kinds of what sounds like electronic distortion of traditional instruments and it's that which gives a slightly unsettling edge to the record, not in a threatening way, just that feeling that you're listening to something a little different to the norm and uncertainty about how it's going to turn next. That said it's not all gadgetry and wizardry. Philosophy and We Only Have To Fight share the electro-tinged hues of their predecessors on the record but in more traditional song format and are none the worse for it. And If I Seems Distracted combines the mood of a soft beautiful ballad, racing guitar and synth in the chorus before changing direction again into an eerie middle eight. The album finishes with a similarly warm engaging song called Man Made although the last fifty seconds feel like a dark eerie soundtrack with synth strings aching longingly and fading slowly to the end. 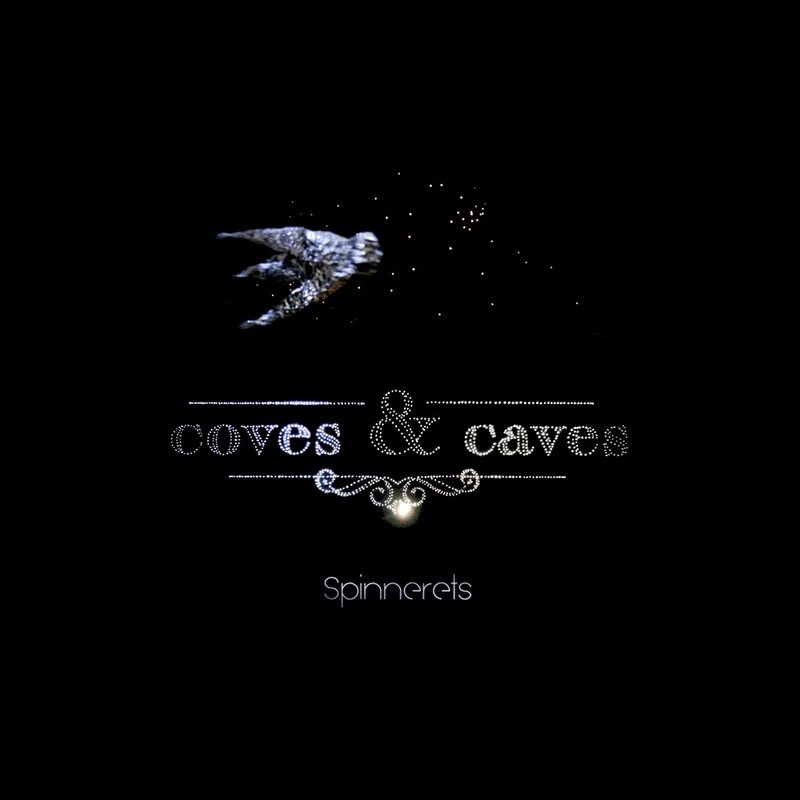 Spinnerets is an album made by accomplished musicians with wandering minds, intent on ensuring that their listener is never bored and the only way they can guarantee that is by making a record that keeps them interested with songs that are always alive and give something different each time you play or listen to them. There's so many ideas crammed into parts of these songs that it feels like they've thrown the proverbial kitchen sink at it at points, yet they manage to pull of the mean trick of it never sounding over-egged or cluttered. Coves & Coves' website can be found here. They are also on Twitter and Facebook. The album can be purchased on CD and download from their Bandcamp site.